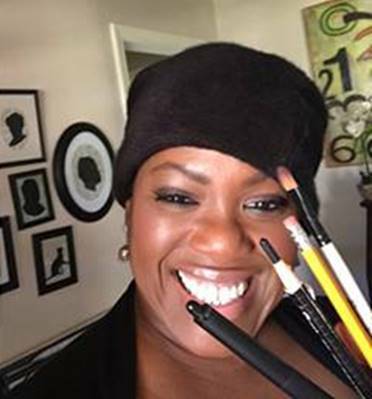 Over the past 13 years, award-winner Vanessa Brantley-Newton has illustrated (or illustrated and authored) approximately 80 books for children, including titles such as Every Little Thing, We Shall Overcome, Mary Had a Little Glam, and The Hula Hoopin’ Queen. 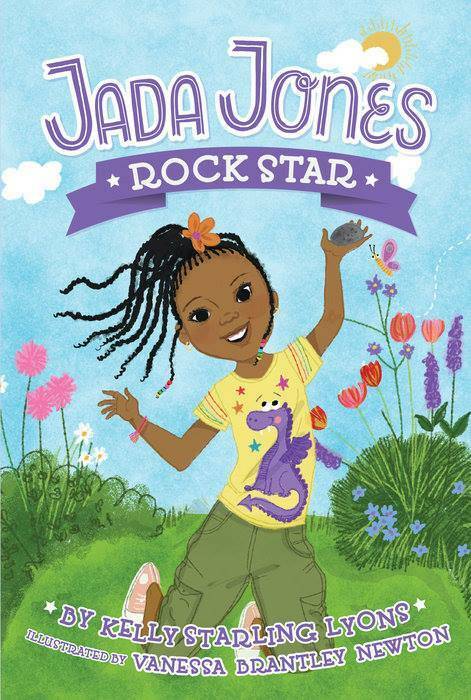 Her most recent release is The Youngest Marcher (written by Cynthia Levinson, Simon & Schuster, 1/2017) and later this year, two new series illustrated by Vanessa will debut: a picture book series, Hannah Sparkles (written by Robin Mellom, HarperCollins) and a chapter book series, Jada Jones (written by Kelly Starling-Lyons, Penguin Workshop). 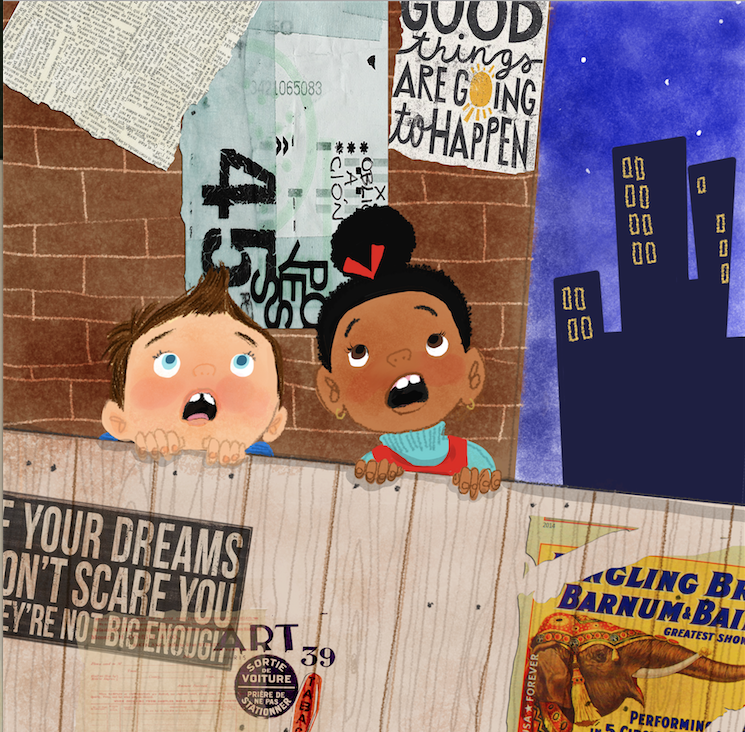 A new picture book project with author Derrick Barnes called The King of Kindergarten with Nancy Paulsen Books was recently announced…and Vanessa is currently working on two picture book projects she will both write and illustrate: Grandma’s Purse and Jewels. That’s her bio. It’s a phenomenal bio. But it doesn’t even begin to scratch the surface of who Vanessa Brantley-Newton truly is, or what she means to so many of us who are in the children’s publishing industry. Below is a letter that describes the inspiration she has been to me. By the time you read this, we will have just had another one of our sister-friend outings. We’ll have shared a meal while talking about life, family, and kidlit—encouraging, commiserating, laughing, possibly even shedding a few tears with one another. It’s what we do, and I’ve grown to value these times we share immensely. But have I ever told you how much you inspire me? I mean, literally said those words to you? If not…. You inspire me, Vanessa Brantley Newton. A lot. We first “e-met” on Facebook in September of 2011. I sent you a message complimenting your artwork, which I was first introduced to through your 28 Days Later feature earlier that year. I was (and still am) enamored with your artistic style, which is vibrant and inclusive and never fails to make me feel. You responded to my message and, to my disbelief, I found out you had recently relocated from Jersey to Charlotte…WHERE I LIVE! It’s inspiring to hear you speak about your purpose as a children’s book creator. I have heard you say many times that you want every child to be able to see themselves within your body of work; that you want them to feel valued, empowered, and worthy of self-love as they experience your books and illustrations. I’d add the word joyful to that list also, because that’s how your pictures often make me feel. To know that you are basically self-taught is mind-blowing to me, given how skilled you are in your craft and how replete with emotion each one of your creations is. I guess that’s the kind of thing that can’t be taught anyway. Emotion. The difference between craft and art. You are a genuine artist, Vanessa; I am striving to create work as genuine as yours. V, I want to thank you for the support you have been to me over these past five-plus years. Along the way you have publicly celebrated my successes, privately consoled me in moments of despair, and consistently encouraged me to reach beyond my expectations for myself. You even gave me an art lesson, for goodness sake, because you want me to be able to illustrate my own books someday! In the face of life you model class and grace, and your actions speak every bit as loudly as your words. 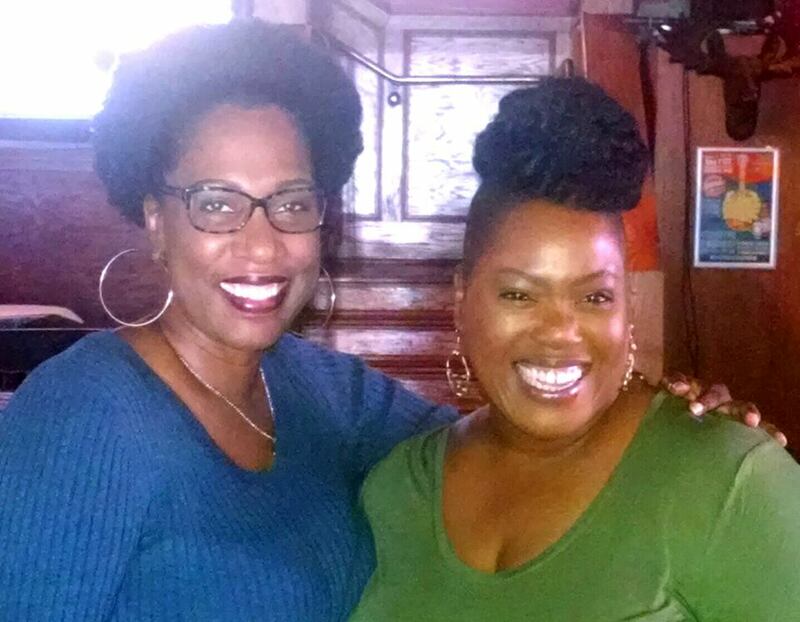 Even though I don’t remember for sure where we dined at our first meeting, I do remember clearly your genuineness, your wisdom, and the immediate gift of sisterhood you bestowed on me that day…and none of those things has ever wavered or diminished. Since then, we’ve shared numerous meals at some pretty cool places, and have taken a couple of business-related road trips together. You’ve prayed with, for, and over me. Your mentorship and friendship have been steadfast and true, and I am eternally thankful for the blessing of you. 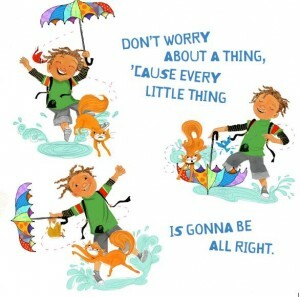 All illustrations courtesy Vanessa Brantley-Newton. Enjoy more of Vanessa’s artwork at Painted Words. This is such an inspiring letter. There’s definitely something special about writer/illustrator friends. I hope every artist has at least one good friend who “gets” this wild roller coaster ride that is children’s publishing. Thanks for giving us a glimpse into your friendship, ladies! 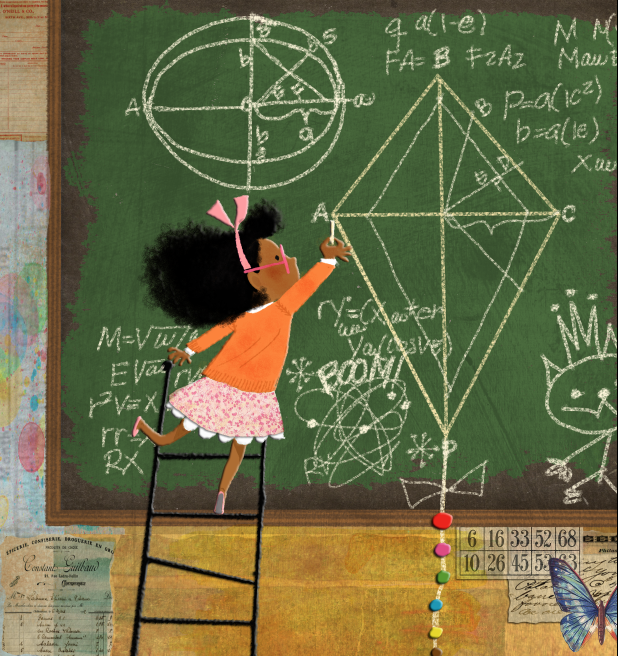 (I now have a print of a Vanessa Brantley-Newton illustration, after your Throwback Thursday last year, so you know I’m all over this post.) I can’t wait to see how books she both writes and illustrates fare! More power to this great illustrator.